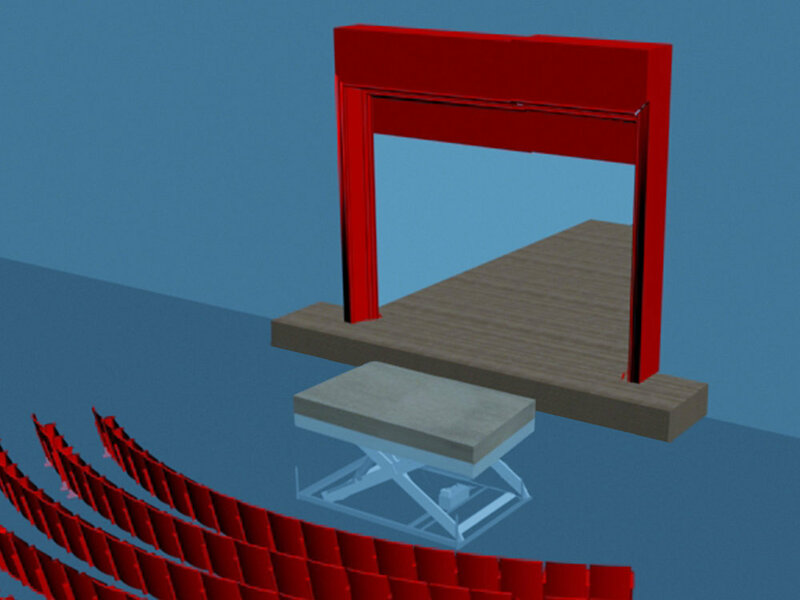 With our lifting technology products, we are able to offer a variety of variants for theater and show platforms. Due to the mostly required stage constellation from the hall to the stage, the stage and the orchestra pit, there are a variety of applications for lifting technology in theater and show rooms. Nani designs and manufactures lifting tables, which are used as theater platforms. These have to fulfill special requirements, since they always represent tailor-made solutions for the individual customers. Versatile, individual platform geometries, large platform areas, high stiffness of the long platforms, the approaching of several positions, correspondingly high loads of 20 tons or more are just some of the challenges that have to be mastered regularly on stage. Usually small warehouses are connected to theaters, so loading ramps and all possible gates are often used. As a manufacturer of all these products, we are able to offer theater operators all the products and services related to these subjects from a single source.